When Susan Lee entered an elementary classroom in Grenada with a freshly-minted degree from Mississippi State University in hand, little did she know that it was the beginning of a career devoted to education that would span more than 45 years and impact every classroom across the state. Lee has held a variety of positions during that time, but despite different roles and different responsibilities, her steadfast commitment to improving educational outcomes for children has never wavered. Dr. Lee's commitment and accomplishments were recently recognized by her alma mater as a member of the class of Mississippi State University's Alumni Fellows for 2018. Sponsored and organized by the MSU Alumni Association, the Alumni Fellows program recognizes and brings graduates of distinction back to the university each year to showcase their talents and inspire and advise current students. "Graduating from Mississippi State University fulfilled my dream to become a teacher. Being acknowledged for the privilege of working with students of all ages is such an honor," said Dr. Lee. "MSU prepared me well for a career to teach and (hopefully) inspire the future citizens of Mississippi. I was humbled to be selected with such an outstanding group of Alumni Fellows." The Alumni Association works with the eight academic colleges to bring the distinguished graduates back to campus. There were nine honorees in this year's class of Alumni Fellows, who carry the title for life. 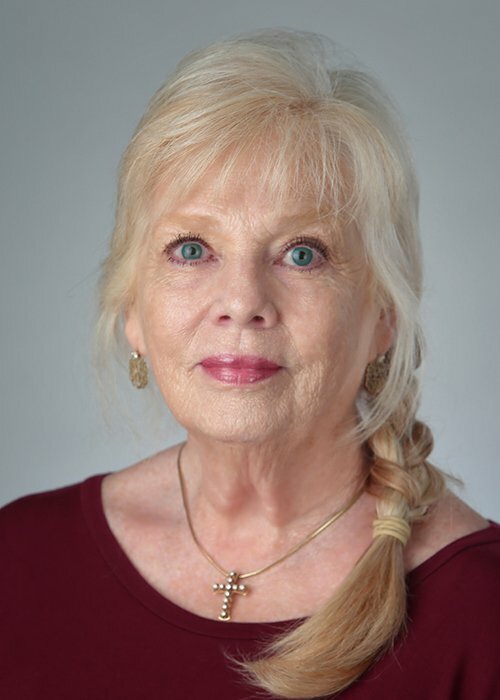 "The College of Education at Mississippi State is extremely proud to count Dr. Susan Lee among our outstanding graduates," said Dr. Richard Blackbourn, Dean of the College of Education at Mississippi State University. Her impact on education in our state, through both broad and specific experiences, is immeasurable. In characterizing Susan's leadership behavior, I would cite her strong human skills and her respect for those with differing perspectives. These attributes have served her well in the various positions she has occupied and have resonated with the many constituents that she has interacted with." Dr. Susan Parkinson Lee of Madison serves as Associate Commissioner for Academic and Student Affairs for the Mississippi Institutions of Higher Learning. In this role, she serves as the chief academic and student affairs officer for the university system, providing leadership for the development interpretation and implementation of all policies related to academic and student affairs at Mississippi's eight public universities. "Dr. Lee is an asset to the university system," said Dr. Alfred Rankins Jr., Commissioner of Higher Education. "Her leadership helps ensure all of our universities provide students with the academic programs, extracurricular experiences and support services needed to thrive in the classroom and beyond. This is a well-deserved recognition." Dr. Lee works closely with the system provosts, vice presidents of academic affairs, and vice presidents of student affairs on the university campuses and also works with leaders of other segments of higher education in Mississippi and across the nation. She also serves as the liaison to the Mississippi Department of Education in all matters related to the state's 15 teacher preparation programs, director for the Title III-Part A, alternate route teacher preparation programs, director of the Higher Education Leadership Team for Post-Secondary Engagement, and other key programs that impact post-secondary institutions. Prior to serving as Associate Commissioner for Academic Affairs, Dr. Lee served as Director of Academic Affairs and Director of P-16 Initiatives at IHL. Prior to joining IHL in 2007, Dr. Lee worked at Delta State University as Director of Field Experiences, Coordinator of Technology for the College of Education and Adjunct Professor for the Education Leadership Program. Other work experiences include serving as Director of the Center for Teaching and Learning at Delta State; Technology Coordinator and elementary and secondary school teacher in the Indianola School District; private piano instructor at Indianola Academy; and elementary school teacher in the Grenada School District. In addition to a bachelor's degree in elementary education from Mississippi State University, Dr. Lee also holds a master's degree in curriculum and supervision, an educational specialist degree in leadership and administration, and a doctorate of professional studies with an emphasis in university administration, all from Delta State University. She is a native of Greenwood. Professional memberships and awards include Omicron Delta Kappa, Phi Delta Kappa, Kappa Delta Pi, The National Scholars Honor Society, the American Association of University Women, William J. Fulbright Scholar, Mississippi Teacher Fellowship Program Scholar, and Mississippi's 50 Exemplary Teachers.